← Happy International Hug Day! 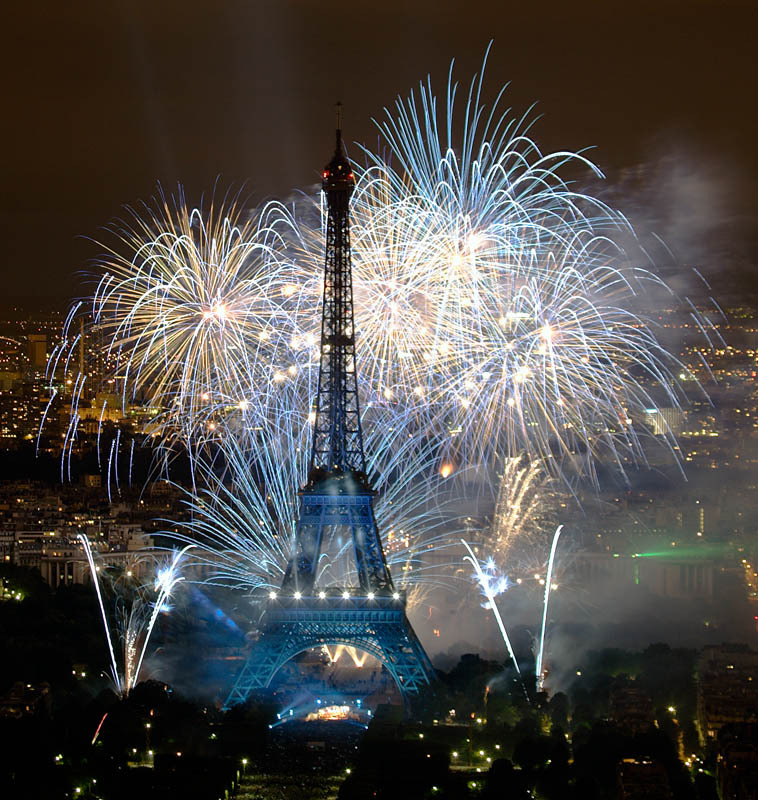 I was a free man in Paris: The City of Lights responds to a David Archuleta tour announcement. Hi, I’m Zami and I love music. All kind of music. R&B/Soul (my favorite), pop, pop/rock, classic, etc… I even like some rap songs (but only those with meaningful messages, not the bling-bling ones lol). I’m 31 or 32, I stopped counting when I was 25. 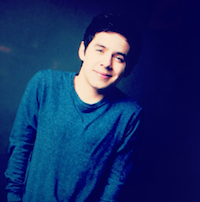 I never thought I was old until I was categorized as an “older fan” of David Archuleta! I live in Paris, France, and I’m a former teacher. I’m now a social worker and I (still) teach French as a second language. The first time I heard about David was in a French blog. The journalist wrote something like “watch this kid! He’s amazing! American Idol has already found its winner!” I clicked on the link and it was a video of David’s performance of “Imagine.” It was the first time (since a long time) that I had being touched by a song and a superb voice. And when you think that I was never a fan of “Imagine,” you can tell that I was shocked, lol. After listening to the video like 1 million times, I decided to search other videos about him, just to see if what I was feeling was just about that particular performance or if it was about the singer. I’m just going to say that I spent a lot of time watching all the YouTube videos of David and I realized that he was special. Not only his amazing voice but something really touching and endearing about his personality. 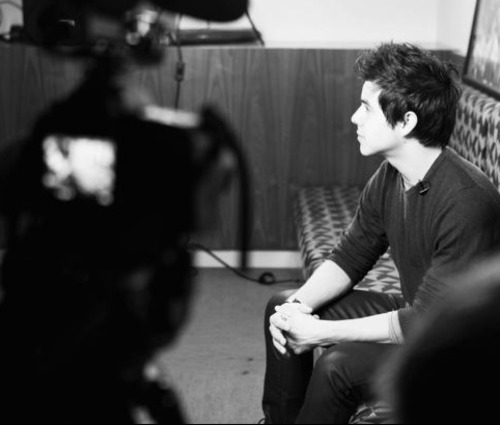 David Archuleta ready for his closeup. If I’m honest, I didn’t want to be a “fan.” I never was a fan of someone before and the word fan in my mind always had a pejorative connotation. But with David, I felt invested since the beginning. I didn’t know why, there was just something different about him. 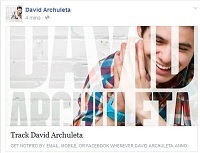 Now, I’m happy to call myself a fan for life of David Archuleta. He has enormous talent and he’s also a good person. He has a lot of charisma and for me he’s a leader, maybe a humble one but still. He inspires me by his positive attitude and his great (and uncommon) personality makes me forget, sometimes, that I’m first a fan of his voice (and his music)! Also, I confess, I’m really addicted to his voice, I listen to his songs everytime for every occasions ! I know that can seem crazy but I like how I feel when I hear him sing, lol. What’s it like being a David fan in France? Well, I thank God every day for the Internet, lol, and for the amazing fans who share their experiences, their videos, etc. … I feel less isolated. I know other fans of David here (there’s a French forum about him, I think, and I saw one or two blogs). Some know him from AI (AI is not aired here, you can only watch it on the Internet), others thanks to the McFly tour and the Demi tour (Demi has a lot of teen fans here). All my family and my friends know who David is and they like him too (my nephew even said once that he’d like to be David Archuleta when he grows up. He thought for a long time that he was a fictional character because he only saw him on YouTube, lol). Also, being a fan in France can have its “advantage” (yes, I’ve found one. lol). I think it’s easier to promote him here. You just have to make people listen to his music and they like him. No AI stigma, no “he’s only for little girls,” no JB comparisons, etc. … It’s just about his voice! 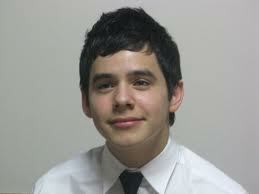 “There is nothing that compares to David Archuleta live”: I can’t count how many times I heard (read) that. So the minute I knew David was going to tour with McFly in the U.K., I couldn’t not go. It was my first chance to hear him sing live and I didn’t know if there would be another opportunity so the decision to go was made in a heartbeat! I went to the show with my brother and two friends. My brother already liked him. He lives in The Netherlands so I emailed him regularly all D’s performances on AI while I was watching the program. My bro is more of an R&B/Soul fan and he thought that David did the best cover of “Stand by Me” he ever heard, so it was easy for me to convince him to come with me. My friends were really and positively surprised at how good he was live and couldn’t believe he didn’t win AI (I never told them before that David was a former AI contestant because they are music snobs, lol — they think the reality shows can’t produce real artists). Now I can say it too: There is absolutely nothing that compares to David Archuleta live! He was amazing and the audience response to him was great. My only regret is that I didn’t meet him. I’m shy and I didn’t want to sound stupid with my bad English! Doesn't it look like he's about to speak French? "hmm, j'ai faim ..."
I was so excited the first time I heard David would be singing in French for Pat-A-Pan! It took me a week to listen to the entire song, I was repeating the first words in French again and again and again. I love his accent in French, it’s so cool. I ‘d love to hear more from him, like a French version of Crush. And for the first time, my nephew didn’t ask me to translate the lyrics for him (he sings all David’s songs phonetically, his current favorite is Elevator. Oh, and he can do a great impersonation of David, lol). I’d love to see David in France. He’d love Paris (not really for the people, lol, but there are a lot of museum and monuments to visit here !). He really should come back to Europe to tour or just to promote his album. He already has fans everywhere here without any exposure (Italy, Spain, Holland, Finland, Germany, Ireland, Denmark, Romania, Bulgary, Portugal …) ! I hope that when he talked about an international tour in his last blog, it will include a visit to the “old continent”! For now, I’ll keep on supporting him and listening to his albums, waiting for a second chance to see him live. I have great hopes for 2011 ! This entry was posted in Fan experience and tagged David Archuleta est magnifique, I felt unfettered and alive. Bookmark the permalink. I am compiling a book for David of fan stories, inspirational and testimonials on how his voice, soul and heart has changed our lives. I love the stories here and would love to use them and add them to my book. It might take several months to gather stories then compile them. I am working with Shell_eeeyyy in Colorado (I’m in Utah). My twitter is Nellie1983 if anyone is interested in contributing to the book. Janel, what a wonderful thing for you to do! I would be honored if you so chose to use something of mine. Are you thinking of making it available to all fans once completed? I would be most interested. zami – your written English is superb! I hope you overcome your shyness to be able to meet David one day. Thank you for sharing your story, it is most endearing! For you to find a positive in being an overseas fan is wonderful… most David-like I must say. Thank you ! I admit I really wasn’t sure about my English. I used to be a lurker here and in other David fan sites (like the Voice) and the posts are always great and amazingly well written. So I’m a little ashamed because I write in English like a five year old kid lol ! Thank you very much for sharing your “David” story with all of us! 🙂 I’ve been a fan since “Waiting on the World to Change” and as I tweeted him the other night on his 3rd yr anniversary of walking into that AI WOTWTC audition room and into my heart, I told him that I was no longer waiting; 3 years ago he DID change my world as I knew it!! The day David 1st aired Crush on Z100,Aug. 1, 2008, I was leaving with my family (I’m from Minnesota) to fly oversees to join my 17 yr old son who had left a week earlier to play in a soccer tournament. As soon as Crush was played, I put it on my iPod (including the mid song announcement and all) There was NO WAY I would leave on that jet plane without David singing his very first single “to me” as I flew over the pond! By the time we landed in London, the song was already memorized and forever burned into my brain. After my son’s tournament ended a few days later, we continued on to Paris to spend the rest of our vacation. I LOVED Paris! We all did! On our final day of touring and shopping, I brought along my iPod. When I visited with the small shop vendors (who spoke English) I had them listen to David Archuleta singing his new single “Crush” on my iPod! I told them that if they didn’t recognize him yet, they need not worry~ one day, France would embrace David, and he’d be singing his music in their beautiful country…and they could consider themselves “lucky” to have been some of the 1st to have heard him! :)) I loved Paris, and wanted David to know about this beautiful country, too! I first met David at the AI tour about a month later at home in Minnesota. In his gift bag, along with a few other items, I included a black T shirt with a graphic sketch of the Eiffel Tower and “Paris” sketched in a very cool font in red that I had brought back to give him. In my letter, I explained how and when I had bought this T shirt for him, and that I wanted him to know how much I hoped he, too, would be able to visit France someday. I told him I thought he’d LOVE Paris, and that the people of France would love him and his music too. :)) And here you are! So very cool! Although I never saw him wear the T, I know he received it along with my letter. I love the way David continues to bring the borders of our world closer together. His influence by “just being David” never ceases to amaze me! I know he’ll perform in your beautiful country one day, and I believe you’ll not only see him, but this time you’ll meet him. :)) Thanks again for your story. Wow ! I love your story ! 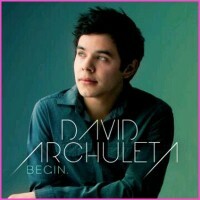 Imagine is the first song I heard by David but I completly felt in love with Shop Around and Heaven ! It’s funny because it’s what I told my friends when I gifted them David’s first album ! I said something like : you are among the first persons to know who this musical genius is, you should feel priveliged ! When Crush was released, I was listening to Z100 on a livestream. I was so nervous ! I had it on repeat in my Ipod too and the chorus was stuck in my mind after the first listen. It’s so cool that you visited Paris and that you gave David the T shirt with the Eiffel Tower. I’d love to see him here, I’m even willing to propose myself as a guide lol. One thing is sure, if he comes back to Europe, I’ll be the first in line to attend his concerts ! and of course, I’d love to meet him but I’m as awkward as he is so our encounter would be really funny (or totaly surreal lol). Billboard likes him too I think. Thank you TOfan for giving me the opportunity to share my story ! I love your site and all the great fans who share their stories here ! Nîmes would be a great place for a concert (and the weather is always fine there lol). My nephew is 7 but he acts and talks like a teen. He’s what we call a “precoce” kid. Music is a great thing to canalise his energy ..
BTW, I love the pics you chose ! Bienvenue Zami! Merci pour partager ton histoire avec nous 🙂 Je suis très impressionné que ton frère aime David aussi! Mes frères ne vont pas lui donné une chance. J’espère aussi que David va visiter l’Europe. Je suis certain qu’il l’adore! Hahahahahaha sorry for completely butchering your language 😀 Thought I would try (since you wrote the whole post out in English). Haven’t really spoken french in like 7 years so I’m a little rusty, haha. And those 4 sentences took waayyyyy too long to write because I was texting my friend (who’s a french major) every 2 words to ask her something! But seriously I love to hear stories from people all over the world who’ve been touched by David! Also awesome that you got to see him in concert! Hopefully he’ll go back to your neighbourhood soon. I know I always say I want David to come to Canada (and I do) but we’re incredibly lucky to be so close to the US we can still make it to concerts. So I hope he visits the other international fans again in 2011. Your French is so good ! No warning needed ! Ton français est génial ! Mon frère a plusieurs chansons de David dans son Ipod. On a souvent les même goûts en ce qui concerne la musique donc j’étais à peu près sure qu’il aimerait David. Seeing David with McFly was a great memory ! My nephew was really sad when he knew that my bro and I saw David live, he said that I was a traitor because I chose to go with someone who wasn’t as fan as him lol… It was really funny ! But I promised him that I’ll go with him when David will come back to the UK ! zami, adore adore adore your article. Imagine was the clincher for me too. I thought he was the best of the bunch after Shop Around, but Imagine showed he was among the best of the best anywhere, already, at the tender age of 17. “it’s easier to promote him here…it’s just about his voice.” Do you show them his picture, lol? “It took me a week to listen to the entire song, I was repeating the first words in French again and again and again” .. lol, great hearing that from a bona fide French woman. Would love to see your nephew’s impression! How does he feel about being on youtube? David in Paris, ooh lala. Hope you have the opportunity to see him again in the foreseeable future! Love the spectacular Eiffel Tower pic and caption! tofan, the snow angels, absolument parfait! “Do you show them his picture, lol?” Well, it really depends. Sometimes I just make them listen to the songs I have on my Ipod and I let them do the research about David if they want to. Other times I send them youtube vids of live performances or of interviews that show David’s personality. They just can’t deny that he is a great singer even if some of them thought he was 25 (at least !). But they know that I’m a music lover and I think that they just trust my taste when they ask me to share new music with them. Zami, loved reading your story. Wonderful to hear from fans around the world and I hope most (if not all) of his worldwide fans have the opportunity to see David in concert. I’m very glad that you did get to see David perform in the UK! I’m sure David would love to do a European tour sometime. I loved how you referred to David as a leader (albeit a very humble one). Indeed he is a leader….in so many ways. Thanks for sharing your great fan story with us, it’s very easy to become a true fan of David’s after hearing his incredible voice and and seeing what he is about as an individual, one pretty amazing young artist and human being. Yes, one of the great thing about this fan base is its diversity ! I really think that David is a leader (even if he doesn’t seem to be aware of it). He has the courage (at his age) to just be who he is, he’s not going to act differently to be “mainstream”. And just for that, he is cool ! He’s an inspiration by how he chooses to live his life (always trying to see the positive aspects in everything) and by his willing to give back. Zami, I thoroughly enjoyed your story!! I am tickled pink to learn about a fan from none other than Paris, France! Vive la France! LOL. I have an extra soft spot for the French as I went to a Lycée in Tokyo as a kid (my French is very rusty though at this point). It is really quite amazing that without any exposure, people from so many corners of the world still find him as you have, and become a big fan. I am glad too for the internet. It makes it possible for a fan community no matter where you are on the planet. TOfan, I know it’s you who paired up that David photo with the caption “Doesn’t it look like he’s about to speak French? “hmm, j’ai faim …” BWAHAHAHA! “It is really quite amazing that without any exposure, people from so many corners of the world still find him as you have, and become a big fan”. I agree with you ! It’s his amazing voice, if you had the chance to hear him sing you can just love it. And then, when you learn more about him it’s hard to not become a big fan ! I don’t know why he wasn’t promoted here after (or during) the McFly tour. What a missed opportunity! My English improved a lot since I became a fan of David lol. I learnt (learned ?) 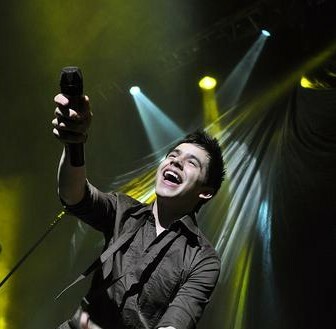 a lot just reading all the fansites, it’s easier when the subject is David Archuleta lol ! But I’m still not sure if I can have a conversation with an English speaker. I hope he saw your “drawing task” avi!!! Morning, just had to pop in and reread Zami’s article. It’s been said he is a “wild man” on the bb court… guess he gets it from Lupe, lol! Sorry for my appearance but wanted to get a video blog before I went on getting ready for the day and the activities that await the rest of today haha. Just wanted to talk about my sisters and spending time with family. Want to challenge you guys to spend time with you sisters or brothers sometime this week, and/or talk to or hang with your cousins. Try to get some exercise in too! Won’t be on twitter for a while over the next week or so but I will try and update you guys when I’m back. I can’t wait to hear about his experience when he gets back ! The task of the week is an easy one for me. I’m the second oldest of a family of six children and I’m really close to my sisters and brothers. We grew up in a small village (only 2000 inhabitants), so we used to do everything together because they were not many kids our age. Amazing how the admiration of the music and man grabs us and sparks such connection and camaraderie world round. The “La Vie en Rose” reference is quite wonderful. I was humming “La vie en rose” by Edith Piaf during all the day ! it’s been a long time since I haven’t listened to this song, it used to put me in a great mood. “Amazing how the admiration of the music and man grabs us and sparks such connection and camaraderie world round”. Yes ! it’s great to be a part of this fan base and it’s worth it to follow and support this great guy ! Wow, Zami, this is a great write-up! Votre anglais est excellent. If you do have the chance to meet David, please don’t let that opportunity slip away. I have seen him up close, twice, and even though English IS my language, I could barely mumble out a couple of sentences. So, don’t let the fact that English isn’t your first language prevent you from speaking to him! He would love to hear that beautiful French accent. I hope you have the opportunity to see David again, soon and I hope maybe someday you’ll be able to come here and meet some of the U.S. fans, too. Thank you for promoting David to the people of France and Europe. I do find it very interesting that people there can just hear that voice and talent of David because they don’t have preconceptions from a cynical press. How refreshing that is! abanana77 Your French is great. If you think you’re rusty, I can’t/won’t tell you how many years it’s been for me. I could read yours fairly well. I could not read Zami’s reply back to you as well. Her vocabulary is too advanced for me ;). 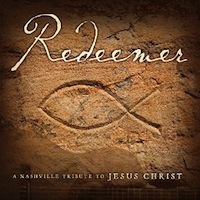 It’s a pleasure to share his music with those who wants to listen. There aren’t preconcieved opinions about him because almost nobody knows about American Idol and David is not popular here (yet). I love how you wrote that being a fan of David’s has improved your English! That is awesome! I’ve learned American geography because of being a fan, hahaha. I now know where a decent number of cities/states are that I had no idea about before. It’s so true ! I learned American geography too because of being a fan of David. Now I can locate most of the states where he toured and the cities he visited. The series in English are also a great way to learn the language, I always watch the original version (sometimes with subtitles if they are avalaible). The french versions of the US series are not that good, it’s like something is lost in the translation. When I was younger, I loved to watch “Le Caméléon” (I think it’s “The Pretender” in English) and I was shocked when I heard his real voice and I couldn’t watch it in French anymore lol. Now, it’s the same for all the series I like and watch. Thank you ! I wasn’t sure about sharing my story in English but TOfan helped me a lot ! “I had never followed anyone in my life. But I have felt drawn to David and his voice”. I know the feeling … it’s as if I had no choice, I was captivated by his voice. And I agree with you, this place is a “good place” ! Zami! Wonderful, wonderful story! Merci beaucoup! Il n’y a pas de quoi ! Je suis très contente d’avoir eu l’occasion de partager mon histoire avec vous ! You’re welcome ! I’m very glad I had the opportunity to share my story with you ! Thanks to you for the appreciation, I’m happy you liked it ! Great to read about a French fan! I really like to hear that the AI label is not a hindrance to David in France. I have a feeling that in most countries it isn’t or won’t be when he gets there. Oh I know exactly what you mean, this was me and I get teased by family because I’m now a “huge” fan, but it’s ok, I’ve learned to embrace it. “I have a feeling that in most countries it isn’t or won’t be when he gets there”. Yes, I hope they’ll promote him as a new artist without refering to AI. I think it’s time for David to distance himself from American Idol. After all, the show is doing everything to ignore him, they never (or rarely) mention him. I used to tease my little sister about her past obsession of the boys bands. I still tease her occasionaly but it’s just for fun lol. My family doesn’t really tease me because they like him too but not as much as me ! (I converted them one by one, they didn’t have the choice but to listen to his CDs lol). You know, I always make the paralel with sport when someone doesn’t understand my support to David. I’m just rooting for the best young artist and I want him to top the world (of course, it’s deeper than that but they don’t have to know, they wouldn’t understand lol). Great article, Zami! I am always tickled to hear the ‘how I found him’ tales from any fan, and it’s always great to hear that he reaches people across the globe. I hope he’s also able to tour soon, extensively enough that many of the International fans can hear him sing live. Me too ! I love to hear the “how I found him”tales and all the inspirational stories David’s fans share about the positive effects he has on their lives. (((Zami))) Huge hugs to you for sharing your story with us….. it is incredible to me that David can bring people from all over the world so close together in cyber space…. here in our little corner of the Archuverse (which is a “good place” as Munk says) !!! Thinking back to when I first heard David, I remember being shocked at how his voice affected me… and like you I became “addicted” to the very tone and timbre of his voice. Resisting fandom is something I have heard many people share because seems like so many of us are new at this. It really is a “what just happened” experience!! Thanks for your kind words Refnaf ! “FYI seeing David in Europe is on the bucket list!”. I didn’t know what was the meaning of “bucket list”, thanks for improving my vocabulary (I’ll use it at the very first occasion given lol) ! Maybe we’ll see him in Europe at the same time, it would be so cool ! I’d love to see David with you in Paris!!!! Let’s keeep on hoping!! Oh my gosh you guys! Look! This is awesome! See what we can do with David’s help? Yes Munk, truly amazing… and David was so timid to say much about going to India in his vlog. How wonderful! Truly a blessing to be inspired by David…and his fans are pretty special too. Feel very proud of David and very proud and honored to be a fan. Just makes your heart beam with joy. Safe travels for David and crew and I can only imagine what a very special experience it will be for him. awestruck….yes, David was hesitant to say too much about going to India, it’s always about others first <3. He was very thoughtful and selfless, as usual…..and family, siblings, yes…I have many of them. Will be seeing a few of them this week in fact. David has now prompted me to exercise more this week too. In fact when I do…I just put on TOSOD and it puts me in a great mood for getting the old bod moving, lol. Zami….very nice that you are so close to your brothers and sisters, always a special bond! Munk, wow, 40 bricks in one day… David fans are incredible… I’ve put a link to the RSO Pathway of Hope info in the sidebar (bricks are $50 each) for anyone who’s interested. I love this version ! This performance was aired in France the day after it was aired in the US, it was so cool to see David on my TV for the first time. JR, I knew what his reply would be before even watching the video lol. David sees the positive side of everything, even of the worst road trip ever. (if David wasn’t a singer, he should consider a career in politics. He’d be a great diplomat lol). We all feel the same. The exact same! Isn’t it a good feeling? Yes, it’s a very good feeling ! Music has a universal message (like David wrote in the liner notes of CFTH) and he conveys it amazingly well. No other singer can sing with so much emotion and passion. David’s music has no boundaries. Even if you don’t understand the lyrics, you can still feel and understand what the song is about. That’s (for me) what sets him apart from other singers. David is a true talent, a real artist. You dropped by “The Voice” and I see that you liked the article “In the Bleak Mid Winter”. I read your own post last evening and it is exciting to hear from you and read your story. Our family was in Paris in October 2009 and enjoyed it so very much. We would love for you to come by our site and say ‘hi’. If you want to write in French, I am certain that we can translate it, maybe not perfectly. No idea if that has any significance whatsoever but just wanted to share, lol. Love coming here and finding VIDS!!!! I am quite busy right now, and viewing a quick vid here is awesome, so thanks guys! That dream sky high>> perfect! I, too, have been loling like no tomorrow. Zami, I just read your write up! Am so excited there are more of us David fans here in Europe! I am American but have lived in Germany for many many years and sometimes feel lonely in my ODD! Like you, I am so grateful for the internet! I have been fortunate in that I have attended a few of David’s concerts – his AI tour in Arizona, Demi concert in Houston, McFly tour in London and recently his San Antonio tribute to Selena in San Antonio. I wanted to go to Utah but was not selected for tickets! 😦 Are you on twitter? off staying still, we werre holding going backwards. You can buy your tickert even for the whole season of the Seahawks’ games.